Italian poet Dante Allighieri wanders in exile across a medieval Europe torn apart by war, plague and worse things. In this particular part of Europe, the dead are returning as zombies to feed on the living. As Dante and his companions flee war and the zombie hordes they witness the worse excesses of humanity â€“ people being burned alive, executions and the casual torture of the undead by their former victims. To say nothing of the cannibalism of the zombies themselves. Valley of the Dead is, apparently, the â€œtrueâ€ story of Danteâ€™s years in exile that inspired him to write his famous work â€˜Infernoâ€™, although (thankfully) it isnâ€™t necessary to have read his masterpiece before reading this, so those of us without a masterâ€™s degree in literature can tackle it. An interesting idea, but for me it just didnâ€™t work. The characters of Dante and his companions were so crudely drawn that they never came alive as people â€“ I finished this book knowing nothing of them and caring even less. The other people they came across on their journey were almost universally unlikeable and as a result the whole novel felt rather flat. 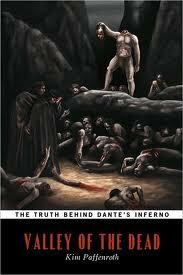 Unless you are an enthusiast of Danteâ€™s work and want to see how this compares, donâ€™t bother with this. 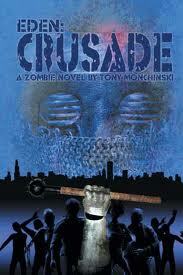 Thereâ€™s plenty of better zombie fiction out there.